Freer acquired this planter while in China in 1907. It is an example of Jun ware, which was produced at a number of kilns in Henan province from the Song dynasty (960-1279) through the fifteenth century. 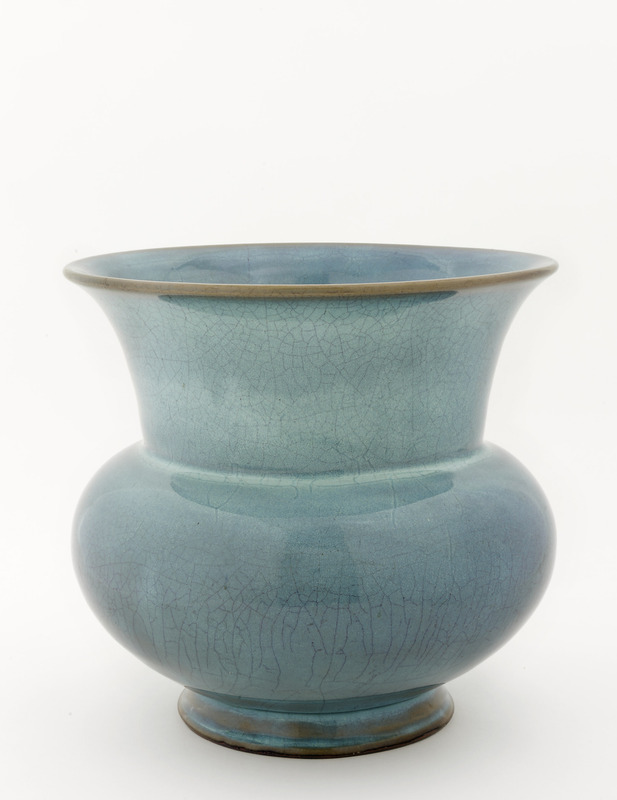 The distinctive blue colors of the glazewhich can range from greenish-blue to violetare the result of a chemical reaction that occurs during the firing and cooling process. Variations in tone occur because some areas of the pot are less thickly glazed than others. This chromatic complexity appealed to Freer, who acquired many examples of Jun ware. In the Peacock Room, which Freer called "the blue room," this very fine example was one of more than forty Jun or similarly blue-glazed ceramics displayed along the south wall, just beneath Whistler's allegorical mural of two battling peacocks. "Planter impressed with character i (one)," in The Peacock Room, Freer Gallery of Art, Smithsonian Institution, Accession No. F1907.38a-b, Item #3232, http://www.peacockroom.wayne.edu/items/show/3232 (accessed April 21, 2019).